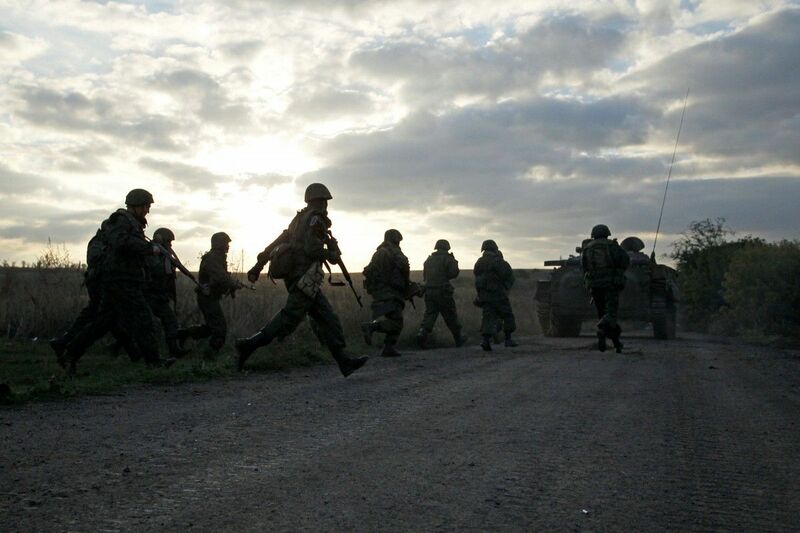 Combined Russian-separatist forces attacked Ukrainian army positions in eastern Ukraine 43 times since the beginning of the day, according to the press service of the Anti-Terrorist Operation (ATO) Headquarters. In the Mariupol sector, the enemy fired 152mm artillery systems twice on the positions of the Armed Forces of Ukraine near the town of Maryinka. They also fired mortars of various calibers on the town of Krasnohorivka, and the villages of Shyrokyne, Vodiane and Talakivka. "The militants fired from grenade launchers of various types, infantry fighting vehicles and small arms on the villages of Lebedynske, Vodiane, Pavlopil, Shyrokyne, Taramchuk and Talakivka. An enemy sniper attacked our positions near Shyrokyne and Pavlopil," the press center wrote on Facebook in its update as of 18:00 Kyiv time on Saturday. Read alsoUkraine reports 2 KIA, 2 WIA in past 24 hoursIn the Luhansk sector, Russia's hybrid military force fired 122mm artillery systems on the villages of Novozvanivka and Troyitske, as well as mortars, rocket-propelled grenades and small arms on the villages of Krymske, Novozvanivka, Malynove and Novo-Oleksandrivka. In the Donetsk sector, the occupiers fired 122mm artillery systems on the village of Tonenke, as well as mortars of various calibers on the town of Avdiyivka, the headquarters said.